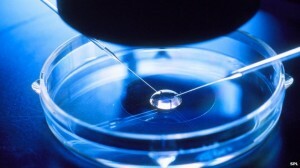 London’s Lister Fertility Clinic is giving away 25 free cycles of IVF in a draw. There are certain criteria for entry – you have to be under the age of 42 with a BMI between 19 and 30 for women and you must be a UK citizen. You must either have a clear cause for your fertility problem or have been trying to get pregnant for at least two years, and you can’t have any previous children from your relationship. The Lister Fertility Clinic is offering 25 people the chance to have a free cycle of IVF treatment as the centre celebrates its 25th birthday. The free cycles will be offered through the patient support charity Infertility Network UK, and details have just gone live on the charity’s website. There will be a draw to select the couples who will get the free treatment. There are some criteria you have to meet in order to qualify – you have to be a UK citizen, under the age of 42 with no children including those from a previous relationship. You must have been trying to get pregnant for at least 2 years with a cause of your fertility problems defined by a clinician, neither partner can have been sterilised in the past, the female BMI has to be between 19 and 30 and you have to have the treatment at the Lister during 2014 at a time set by the clinic. You can only make one application per couple. For more details of how to apply, you will need to visit the Infertility Network UK website.